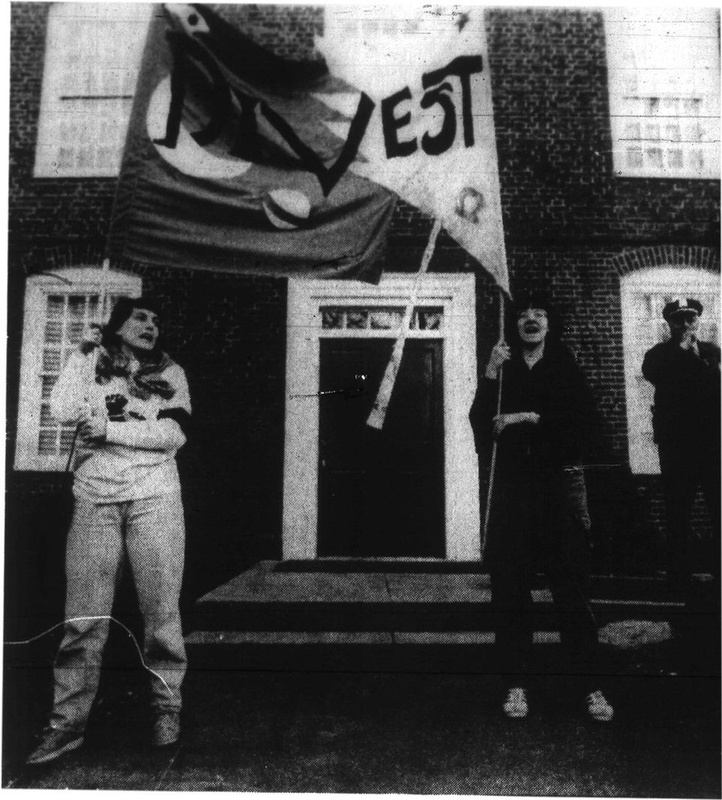 Student protesters wave a banner in front of Mass Hall in 1986 which reads, "Divestment." While the blacks in apartheid South Africa were living in shantytowns in the heart of Johannesburg, Harvard College student activists were living in ones they had constructed in the middle of the Yard. On an April night in 1986, more than 200 South Africa divestment activists erected a shantytown and a symbolic 16-foot ivory tower in front of University Hall to protest Harvard’s investment in companies doing business in South Africa. Led by the Southern Africa Solidarity Committee (SASC), student activists also staged sit-ins outside University Hall offices and organized multiple protests—including one that attracted over 5,000 people. The movement drew attention not only from Harvard administrators, but also from those outside of the Harvard bubble. In the late 1970s, many American corporations, universities, and state governments began the process of divesting from South African companies in order to place financial pressure on the apartheid government through economic isolation. The University, however, remained reluctant to pull out from its investments, and administrators publicly stated that they could better advocate for civil rights for South African blacks by staying involved in the country. “The most obvious result of divestment would be that the university would lose the influence it currently has to try to persuade companies to oppose apartheid and improve the lot of their Black employees,” wrote then-University President Derek C. Bok in a 1986 open letter to the community. In response to student protests, Harvard also established a South Africa aid program, which provided a $1 million fund to benefit victims of apartheid and created the South Africa Internship Program, which sent Harvard undergraduates to South Africa for a year to work in educational institutions that help black South Africans. By 1986, the University was no stranger to the movement to divest from South Africa. Protests began as early as the 1970s, led by the Black Students Association and the SASC, though the movement eventually lost steam, says Damon A. Silvers ’86. The 1980s saw a revival of the initiative on campus, spurred by growing political repression in South Africa and the awarding of the Nobel Peace Prize in 1984 to South African Archbishop and prominent civil rights activist Desmond M. Tutu, who was a strong advocate for divestment. Harvard’s continuing resistance to divestment drew widespread criticism from the University community, especially amongst students. 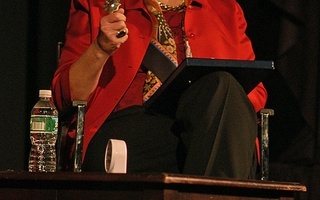 With the civil rights movement of the 1950s and 60s still fresh in Americans’ minds, many students saw the University’s failure to take a strong position against the South African government as immoral. “It struck me as deeply dishonest for us not to join the movement to isolate the apartheid regime,” says Jamin B. Raskin ’83, pointing to the fact that the South African government was not only imprisoning politicians but killing people by the thousands.